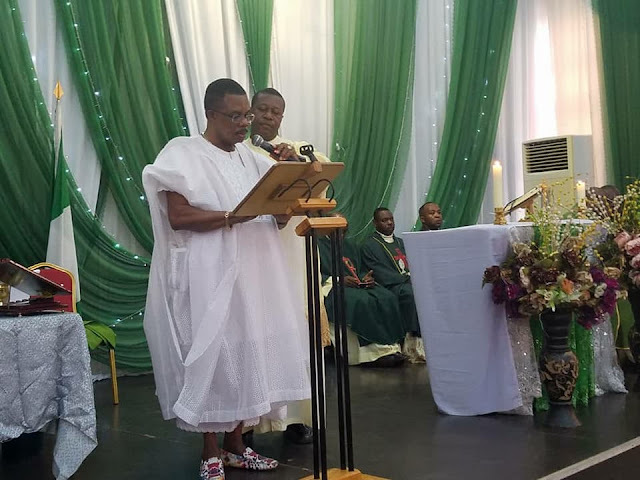 The Governor of Anambra State, Chief Willie Obiano held a memorial mass for his late parents Late Sir Philip & Christiana Obiano today in his country home, Aguleri in Anambra East LGA. The Memorial Mass attracted notable dignitaries such as the Deputy Governor of Anambra State Dr. Nkem Okeke, the Secrtary to the State Government Prof. Solo Chukwulobelu, the Chief of Staff to the Governor Mr. Primus Odili. 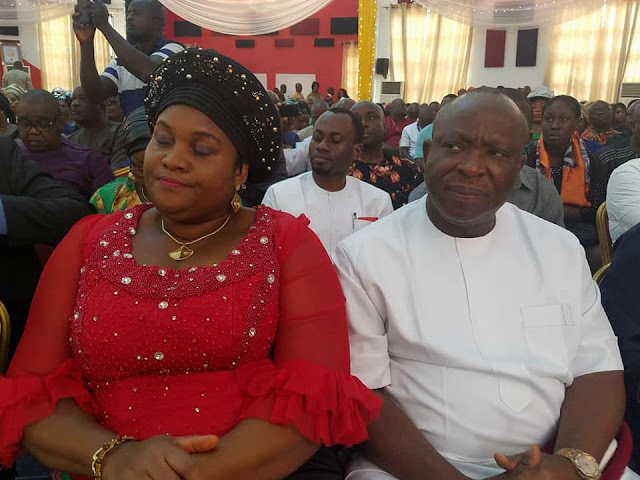 Senator Representing Anambra Central, Distinguished Sen. Dr. Sir Victor Umeh OFR & his wife Lady Prisca Umeh, Distinguished Sen. Stella Adaeze Odua of Anambra North, the Speaker of the Anambra State House of Assembly Rt Hon. Bar. Rita Maduagwu, members of the Anambra State Executives, Members of the State Houses of Assembly and a host of others. In his homily, Reverend Fr. 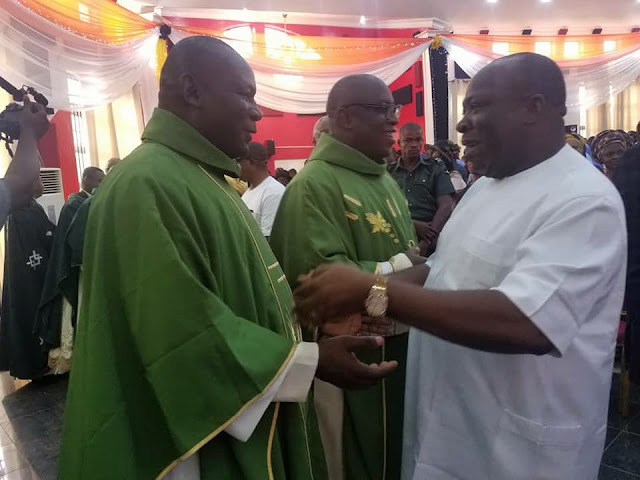 Ezechukwu Manafa who is in charge of Governor's Lodge Chaplaincy described Late Sir. 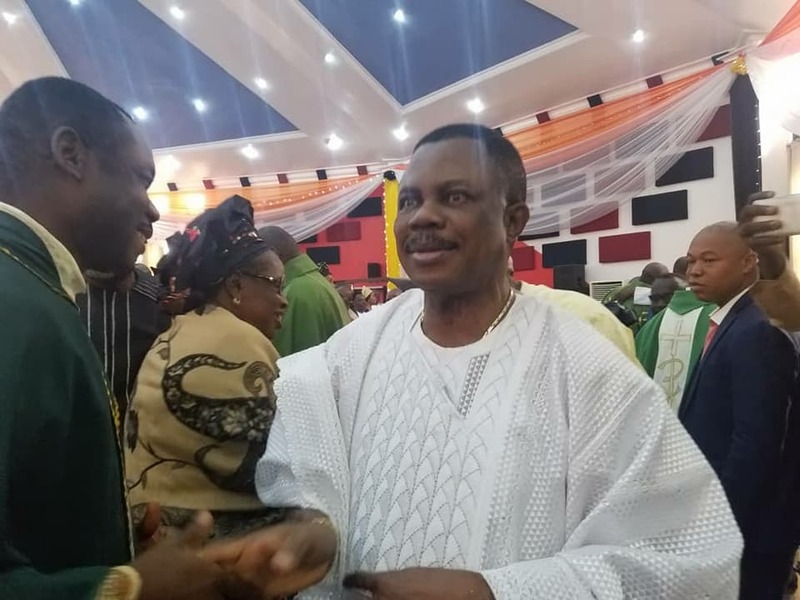 Philip Obiano as a very disciplined, gentle and neat man. He noted that he demonstrated such life style in all through his days with his late wife Mrs. Christiana Obiano. He prayed God to give both parents an eternal rest through our Lord Jesus Christ. He admonished the congregation to remember Christ and live a life worthy of emulation. He decried the attitude of lying against one another in order to acquire political advantage which has become the hallmark of Nigerian politicians. "For us to make heaven, we must shun lies and live a good life for us to enjoy the place of rest as enjoined by our Lord Christ Jesus. As we remember Late Sir Philip & Christiana Obiano, our prayer is for God to give them an eternal rest" he concluded. May the souls of Late Sir Philip & Christiana Obiano,through the mercy of God, rest in perfect peace.... Amen...! !